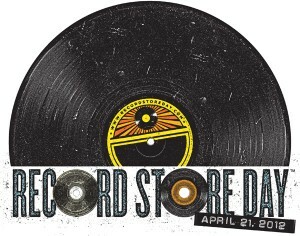 Check Out All the Record Store Day Releases for 2012!!! Record Store Day is coming up April 21st and the place to celebrate and be is at the best MUSIC STORE in the Texas. I am of course talking about GOOD RECORDS. There will be tons of limited releases, new releases,and classic records sold throughout the entire day. This is the one day that all of the independently owned record stores come together with artists to celebrate the art of music. Special vinyl and CD releases and various promotional products are made exclusively for the day and hundreds of artists in the United States and in various countries across the globe make special appearances and performances. Festivities include performances, cook-outs, body painting, meet & greets with artists, parades, djs spinning records and on and on. Metallica officially kicked off Record Store Day at Rasputin Music in San Francisco on April 19, 2008 and Record Store Day is now celebrated the third Saturday every April. So come to Good Records Saturday April 21st for some excellent records. CLICK HERE FOR THE ENTIRE LIST OF RECORD STORE DAY RELEASES 2012! This entry was posted on Monday, March 26th, 2012 at 11:28 am	and is filed under Music, News. You can follow any responses to this entry through the RSS 2.0 feed. You can skip to the end and leave a response. Pinging is currently not allowed. « James Cameron Touches Down on Ocean’s Deepest Point!! !